Jessica Hische is just about the most amazingly awesome person ever. 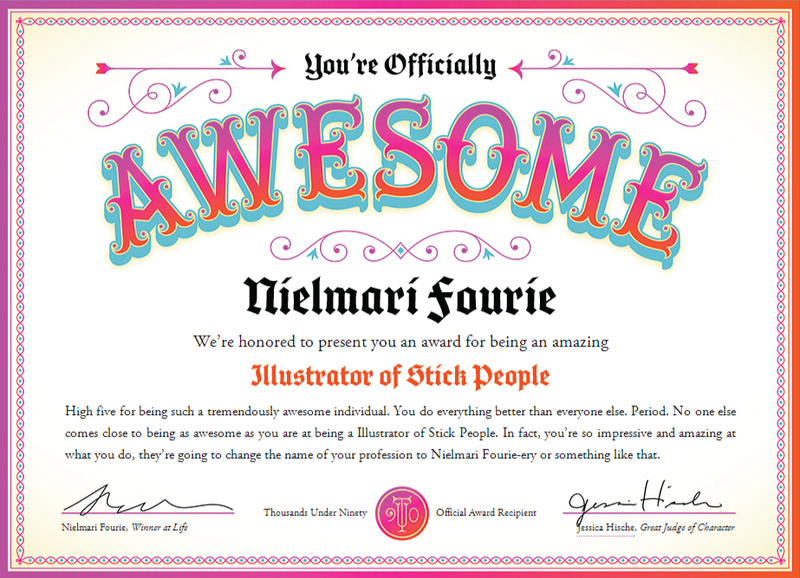 She is a fantastically talented letterer and illustrator who, for any striving creative, is just beyond inspirational. Have a look at some of her work here. She was also recently a guest speaker at this year’s Design Indaba in Cape Town. Well, in keeping with her fun-loving spirit, she has created a website for creatives to award themselves for their awesomeness! How terrific! Being awarded just because you are awesome? Yes please! Here is my super special award. Click here to make your own!